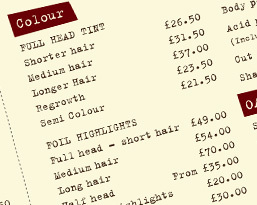 The Maneplace want you to love your look and constantly strive to offer the very best range of up-to-the-minute high quality hairdressing services available. Our experts are fully trained to exacting standards to help you define your personal style; giving you beautiful, manageable, healthy hair that stands out from the crowd. Our team will advise you on the products that will keep your hair looking its best. All our services come with no obligation consultation. Book your appointment today by calling 01920 465482. Throughout the year we will be offering promotions for you to take advantage of. Please check back to see new offers. Gift vouchers are also available throughout the year to treat a loved one. Alternatively like our Facebook page to receive the latest news and offers from The Maneplace. Hair donations are now welcome at our salon. We send your donated hair to The Little Princess Trust who are a charity that help children who suffer hair loss through treatment to receive the hair they have always dreamed about. You can download our price list and full range of services in PDF format here.